The Panthers had a four-win season due to a variety of reasons. 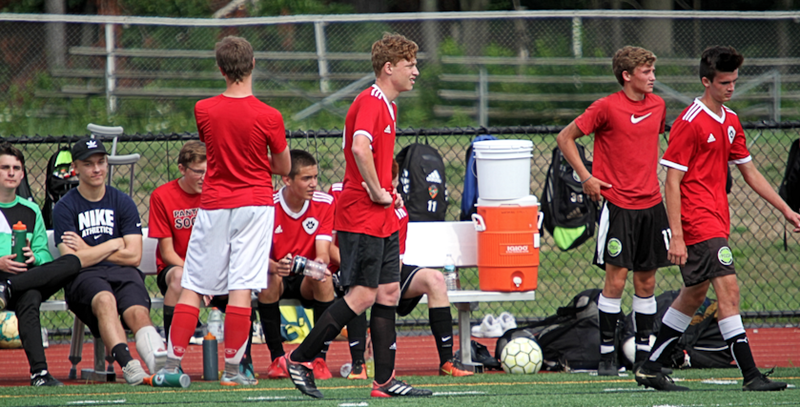 Head coach Dave Leahy described this past season as an unlucky, learning experience for the Whitman-Hanson Regional High boys’ soccer team, which went 4-14-1. The Panthers were down three key pieces before the season even began with the transfers of sophomores Peyton Collins to BC High and Joel Arsenault to Brockton and broken ankle of junior midfielder Adam Milewski, sustained in the preseason. However, the Panthers hung tough at the outset — rallying around the losses rather than using them as excuses — as evident by their 2-0 start. But once they got into their first half of league play, the Panthers dropped six of their next seven, and finding the net was becoming an issue. W-H pumped in just 10 goals over those seven games. Four of them came in a 4-1 victory over Plymouth South. As the fall wore on, W-H lost sophomore starter Brendan Nehiley for two weeks and junior starting goalie Andrew Sullivan for the last fourth of the season. With the rash of injuries came opportunities, and sophomore Dalton Desrocher took his advantage. “Dalton Desrocher stepped up and had a consistent season in the center midfield positions, playing consistent defense, passing the ball well and adding a fewgoals,” Leahy said. 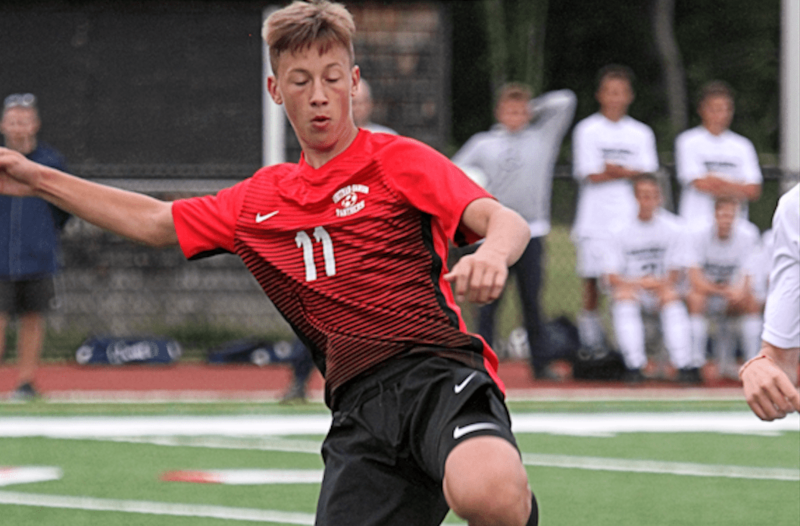 The boys did finish the year on a high note with a 2-1 triumph over Rockland. The Panthers were led on offense by nine goals and three assists from junior captain Jason Broduer and seven goals and four assists from senior Nolan Clack. The defense was buoyed by senior Ben Rogers and junior captain Stevie Kelly, the team’s lone Patriot League All-Star. Leahy said as disappointing as the campaign was, he’s optimistic the team can use it to its advantage. 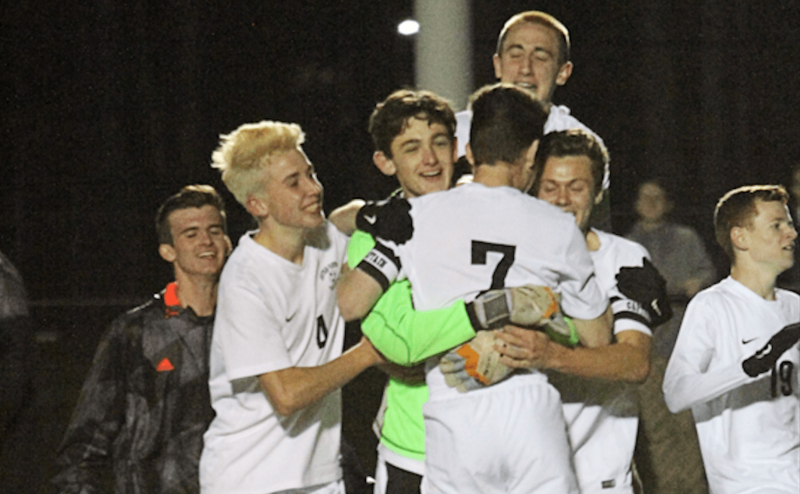 The Whitman-Hanson Regional High boys’ soccer team – under the watch of first-year head coach Dave Leahy – qualified for the postseason for the first time since 2014. 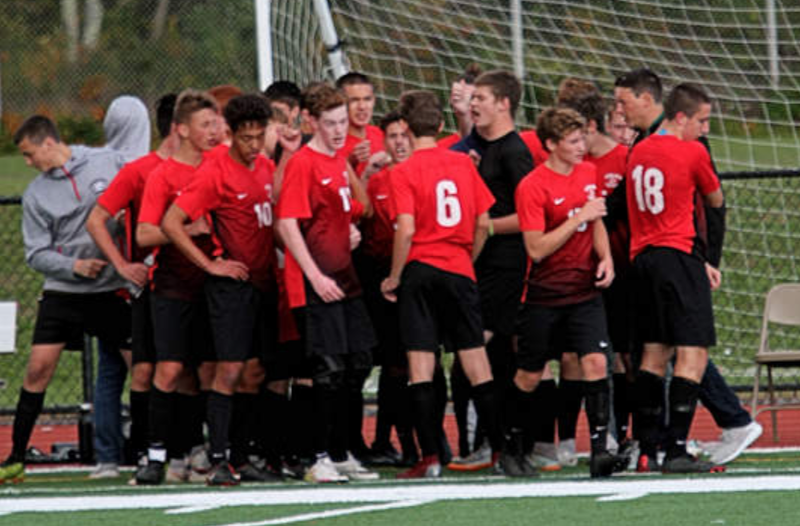 At the outset of the season, first-year Whitman-Hanson Regional High boys’ soccer head coach Dave Leahy acknowledged there were challenges ahead. “I am looking for our players to face the multiple challenges each game throws at us in a positive, unified effort. If we can stay together as a family throughout the first two weeks, we will be able to face any challenge going forwardtogether,” he said. The Panthers entered the new year trying to put a wretched one-win 2016 campaign in the rearview mirror. W-H opened 2017 with a 3-2 loss to Silver Lake, and eventually finished out its first week of play at 0-3. It was tough, but the Panthers remained confident they had what it took to be successful. In their second week of action, the Panthers had turned the corner. It started with a 3-2 win on the road against Plymouth South and carried over to a 3-0 victory over Plymouth North three days later. W-H, driven by a sheer desire to succeed, would then go on to claim victories in eight out its next 13 games to cap off the regular season at 10-7-1. 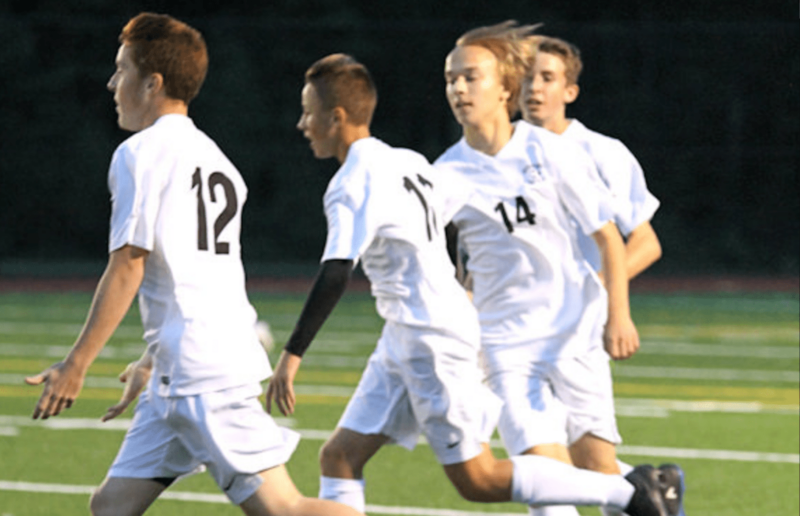 In the midst of the Panthers’ surge, a 2-1 triumph over Quincy qualified them for the Div. 2 South Sectional tournament for the first time since 2014. Leahy said it was just a case of getting his team to buy into the fact it could be successful. “For whatever reasons the team had been unlucky for a few seasons, and as a result we had learned that we were typically on the losing end at the end of the game,” he said. “So, getting this belief changed for us was the biggest.” In the preliminary round of the tournament, No. 13 W-H downed No. 21 Catholic Memorial, 2-1, in game that was decided with penalty kicks. However, in the next round, the Panthers’ run came to an end at the hands of Oliver Ames, 4-0. As for departures, W-H will lose 11 seniors - headlined by captains Kyle Nehiley, Anthony Pasciuto and Cameron Rogers. Their shoes won’t be easy to fill. As the Panthers embark on the offseason, there is a lot more clarity now then there was just a few short months ago. The Whitman-Hanson Regional High boys’ soccer team has bounced back from a one-win 2016 campaign and has qualiefied for the tournament this fall. What a difference a year can make. For the Whitman-Hanson Regional High boys’ soccer team, it saw what that difference can be first-hand. After a 1-16-1 campaign last season, the Panthers now find themselves with a 10-7-1 mark. With that comes a berth in the Division 2 South Sectional tournament for the first time in three years. The win that qualified them for the tournament was a 2-1 triumph over Quincy on Thursday, Oct. 26. First-year W-H head coach Dave Leahy said his team was a tad jittery going in. However, the Panthers have had their fair share of struggles over the past few months, which included starting the season with three straight losses. W-H, despite the record, didn’t hang its head. When you look at the Panthers on the field, it’s not just the juniors and seniors leading the way, but it’s the underclassman chipping in as well. A prime example of that was in the Panthers’ final regular season match, a 6-1 win over Cardinal Spellman, on Saturday, Oct. 28. Senior Brendan Nehiley may have paced the W-H offensive attack with two goals, but freshman Joel Aresenault and sophomore Jason Broduer each chipped in a tally as well. In net, Leahy opted to give senior captain and starting goaltender Anthony Pasciuto the afternoon off, and sophomore Andrew Sullivan and junior Griffin Nickerson combined to get the job done. Leahy, who said he is extremely proud of how far his group has come from June to now, added he doesn’t want the Panthers’ next bout to be their last. “We’re going to work as hard as possible, have fun in that first game, but we’re going to be working like we can have success every single game we play,” he said. No. 13 W-H will open the tournament on Saturday, Nov. 4 at 6 p.m. when it will host No. 20 Catholic Memorial (5-10-1) in the preliminary round. First-year starting goalie Anthony Pasciuto has been a key for the Panthers this season. 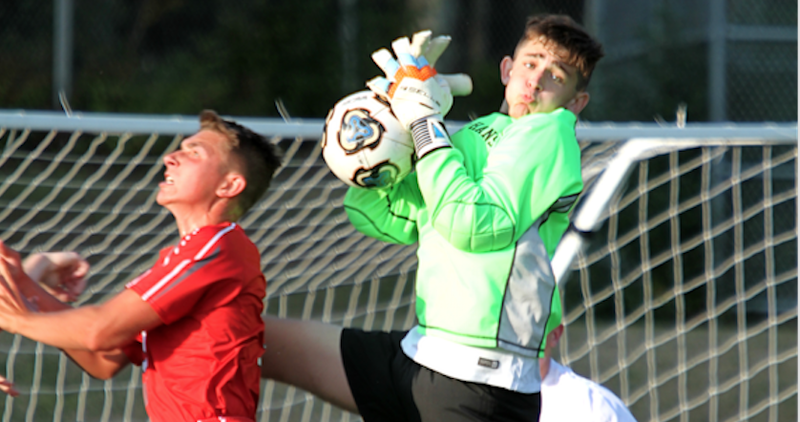 Starting between the pipes on a regular basis at the varsity level has been something Whitman-Hanson Regional High boys’ soccer senior Anthony Pasciuto has been waiting for since he was a freshman. Pasciuto, who has been playing on the pitch since he was in kindergarten, served as the starting goalkeeper at the lower levels during his first two high school campaigns. Last season he backed up Patriot League Keenan Division All-Star Conor Keane on varsity, while receiving reps on defense as well. This fall there was never a doubt, even to first-year W-H head coach Dave Leahy, that Pasciuto was ready to take over. “He knew he was the starter, I knew he was the starter, he’s just, he’s a great goalie,” Leahy said. Pasciuto, despite receiving minimal playing time in goal last season, said the move from second to first string wasn’t too much of a challenge. Pasciuto, who stands at 6-foot-4, has relished in the opportunity. In 15 regular season games, he posted a 1.5 goals against average and recorded six shutouts for the Panthers (10-7-1). W-H is headed to the Division 2 South Sectional tournament for the first time since 2014. Leahy said his senior goalkeeper has been everything he could have imagined this season. “We had a tough first week going 0-3 and then from that point on, after a very important Hingham game (2-1 Panthers loss) for him, he has been outstanding in the league,” Leahy said. In preperation of the new season, Pasciuto said he spent count less hours with the rest of his squad trying to get better at anything they could. Pasciuto said if there is one aspect of his game that separates him from his opposition on the field it’s his work ethic. Not only is Pasciuto crucial to the Panthers’ on field performance, but he’s a leader off the field as well, serving as a captain. Those two combined make a player like him tough for a coach not to appreciate. As W-H heads into the tournament, Pasciuto said it is essential for it to keep doing the things that got it there in the first place.